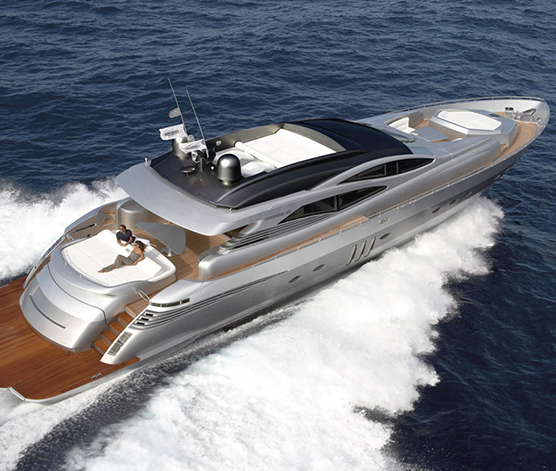 Motor yacht SOLARIS has a comfortable modern interior, the salon and dining are open plan and boast dark wood floors and white soft furnishing creating a clean minimalistic atmosphere. 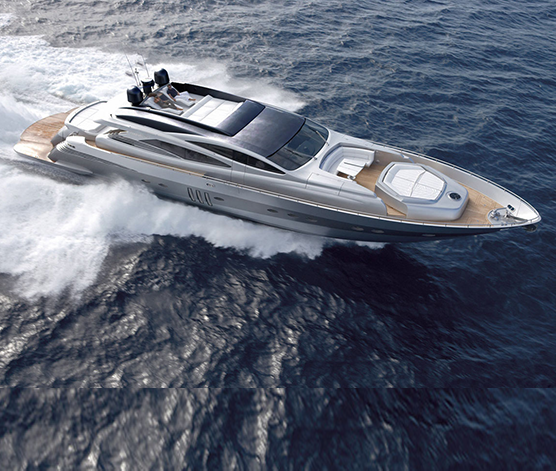 The SOLARIS yacht also boasts a retractable hard top roof which offers charter guests closer contact with the sky, enjoying the sun with the luxury of full air conditioning. 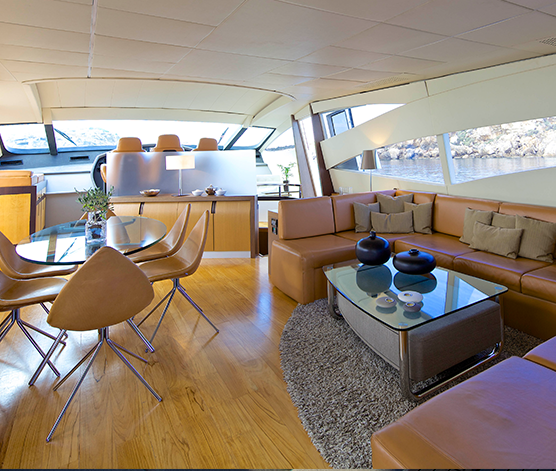 Yacht SOLARIS is able to accommodate up to 10 guests in 4 cabins including a beautiful and spacious mid-ship Master Cabin which provides comfort and style with a walk-in wardrobe, an en-suite shower-room and the latest audio-visual equipment. The VIP cabin is located forward and features an en-suite shower-room. There are two twin Cabins located mid-ship, both with Pullman berth and en-suite shower-rooms. 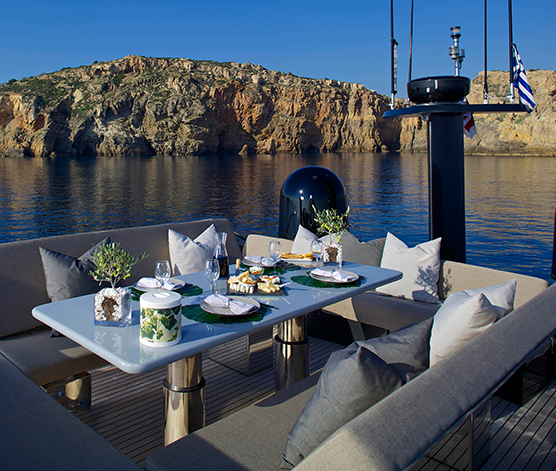 Charter Yacht SOLARIS offers fantastic deck space; the aft deck is large with an alfresco dining option and a large sunpad, aft the extended swim platform is ideal for water sport activities. 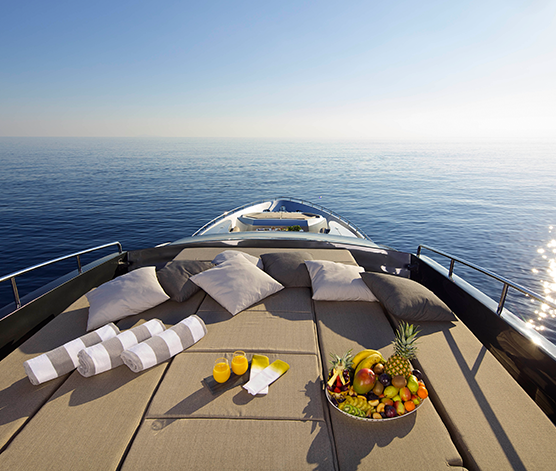 Above the main deck the sun deck features a large sunpad and built in custom chaise lounges. On the foredeck there is an additional al fresco option perfect for lunch or evening cocktails, just ahead of this is a further large sunpad.